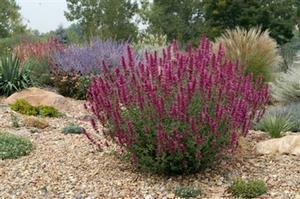 This selection of hyssop was chosen for its compact habit and hot magenta flowers. It grows 18-24" tall and 15-18" wide. Hardly any maintenance is needed. Deadheading will help prolong the blooming season, but isn't essential if you don't have time. 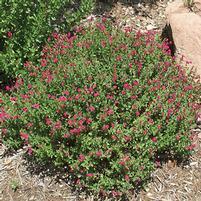 After the plant's finished blooming for the season - usually fall - cut plants back to ground level.